As an NICEIC fully approved contractor, at Windmill Electrics we are proud of our professional service as being honest and transparent. Collectively our electricians combine over 25 years of experience, delivered to you locally. Inspection & Testing, rewiring, fault diagnosis and maintenance - all delivered adhering to the current standards and code of practices. 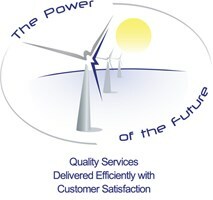 All in all, we provide a Quality Services at Affordable Prices, Delivered Efficiently with Customer Staisfaction.